High cholesterol has long been considered a risk factor for heart disease, the leading cause of death in the United States. Fortunately, regular exercise can lower cholesterol. In conjunction with a healthy diet, and stopping smoking, starting an exercise program can lower your total cholesterol significantly, and possibly help you avoid taking medication to control your condition. Is Aerobic Exercise or Strength-Training More Effective? While both aerobic exercise and strength-training exercises have been found to have benefits on cardiovascular health, studies suggest that a combination is ideal. A 2012 study in BMC Public Health, found that engaging in both types of exercise resulted in greater benefits for weight loss, fat loss, and cardiorespiratory fitness than either cardio or resistance exercises alone. How much and how often you exercise is also important. According to the American Heart Association, you should aim for 150 minutes per week of moderate-intensity aerobic activity, or 75 minutes per week of vigorous aerobic activity, or a combination of both, preferably spread throughout the week. You'll gain even more benefits by being active at least 300 minutes (five hours) per week. Add moderate- to high-intensity muscle-strengthening activity at least two days per week. That said, any physical activity is better than nothing, even if it's just taking the stairs instead of the elevator, or walking around the block. Furthermore, if you find it hard to exercise for long periods at a time, you can divide it up into shorter sessions—10 or 15 minutes—throughout the day. Walking, jogging, or running: Which one you choose will depend on your stamina and your joint health, but all are beneficial. A 2013 study compared tens of thousands of runners to an equal number of walkers and concluded that the amount of exercise was what mattered, not the type. People who exerted the same level of energy when exercising experienced similar benefits, whether they walked or ran. The researchers determined that walking 4.3 miles at a brisk pace would use the same amount of energy as running three miles. Biking: Cycling expends about the same energy as jogging, but it’s easier on your joints. If you experience joint pain, it may be best to choose cycling over running. Scientists reported in the Journal of the American Heart Association that people who biked to work were less likely to develop high cholesterol than those who didn’t. Swimming and water exercises: Water exercises, such as swimming, water walking, and participating in water games, can also produce similar results in your cholesterol profile as other aerobic exercises and are kind to your joints as well. Weight lifting: Lifting weights or doing other resistance exercises—for example using resistance bands or even your own body weight—is helpful on its own, and especially as part of an exercise program that includes aerobic exercise as well. Yoga: While yoga is generally a low-intensity exercise, studies have shown that it may reduce the risk of heart disease and may positively affect cholesterol levels. A large review in 2014 found that those who regularly practiced yoga showed significant improvement in LDL cholesterol, HDL cholesterol, and blood pressure over those who didn’t exercise. If you've been leading a sedentary lifestyle and/or are overweight, you should contact your healthcare professional to help you create an exercise program that progressively works up to a caloric energy expenditure of about 1,000 calories per week. The intensity of your workout should be at a low or moderate level until your aerobic endurance increases. Start out exercising in intervals of 10 to 15 minutes and build up to 30 minutes over time. Increase amount and intensity gradually over time. Ho SS, Dhaliwal SS, et al. 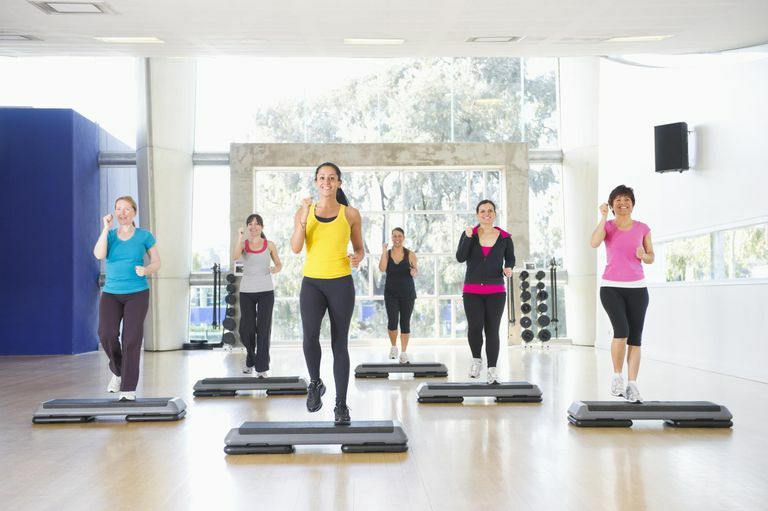 The effect of 12 weeks of aerobic, resistance or combination exercise training on cardiovascular risk factors in the overweight and obese in a randomized trial. BMC Public Health. 2012 Aug 28;12:704. doi: 10.1186/1471-2458-12-704.